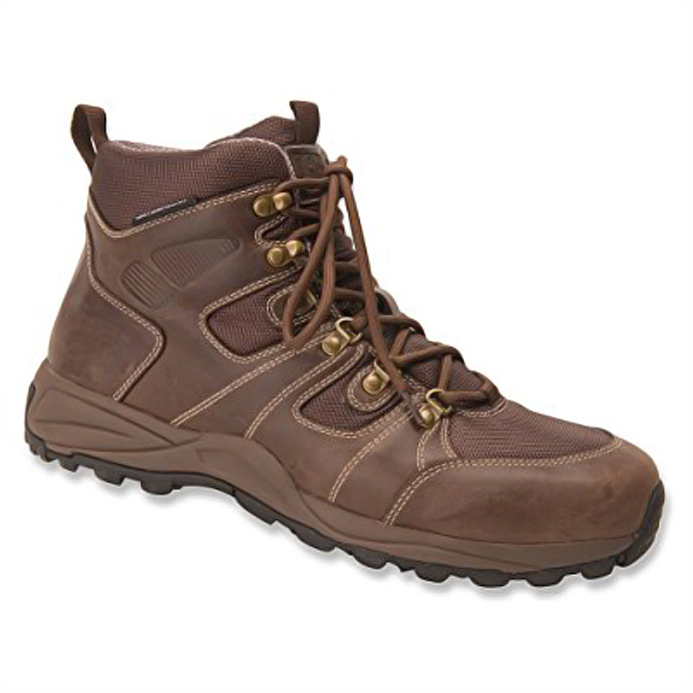 The Trek boot by Drew has a combination leather and textile upper. It is lighter looking than the Rockford and also lighter in weight to wear. Comes with 2 inserts for added depth and / or cushioning. Has linings and top covers aimed to reduce foot odor. Has slip resistant, oil resistant, non-marking rubber outsole. Has a waterproofed leather upper. Has a steel shank which provides further stability to the boot. Has THERMOLITE® fiber and insulation which provides warmth and comfort without weight. 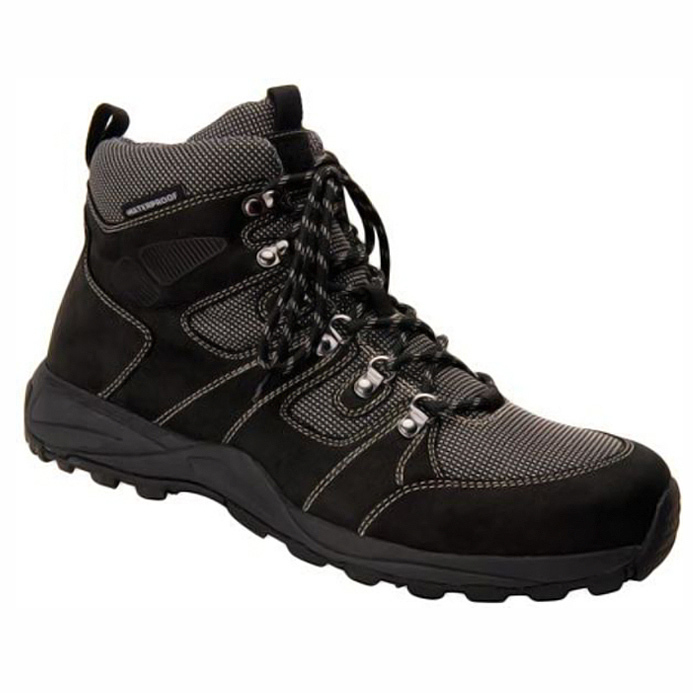 There is a shoe version of the Trek called Trail by Drew which is available in black and dark brown. A person’s choice of footwear is influenced by foot health, personal preference and price. At Happy Feet Pedorthics, following the assessment and fitting we encourage what is best for the client’s foot health. Sometimes client choice is for a shoe which is not our first recommendation. At Happy Feet Pedorthics we advocate for best choices and we also respect client choice. The list below indicates our experience of fitting people with varying health issues in the Trek boot by Drew.